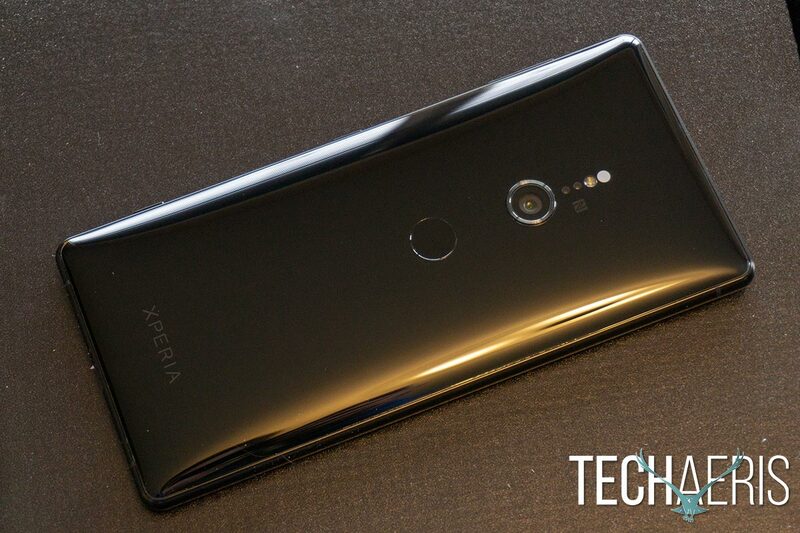 If you’re looking for a smartphone with decent specs that’s a little easier on the pocketbook, the Sony Xperia XZ2 offers just that. While a handful of OEMs come to mind when talking about smartphones, there are plenty of other big-name companies that often get lost in the shuffle. 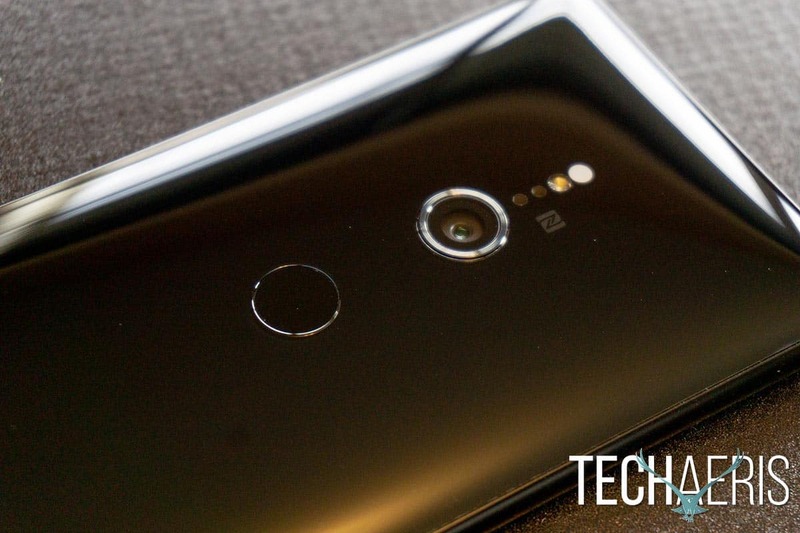 Our Sony Xperia XZ2 review takes a look at one of the newest smartphones from the company which boasts a new design and a new advanced Motion Eye camera. Read on to see how it stands up in today’s crowded smartphone market. 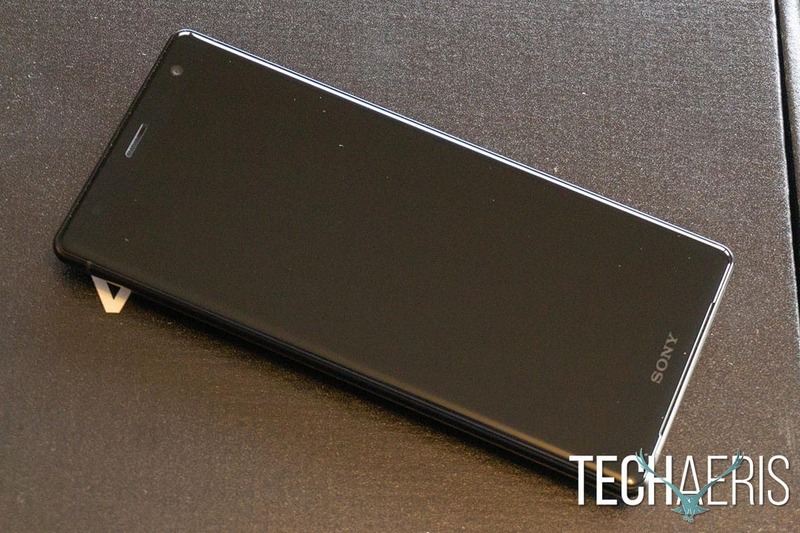 As I mentioned in our recent Sony Xperia XA2 Ultra review, I’ve been a big fan of the Xperia smartphone design. 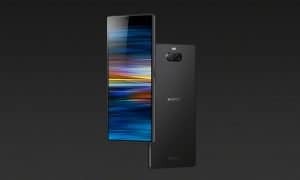 Unfortunately, in my opinion, the Xperia XZ2 marks a drastic departure from Sony’s past design. With the XZ2, Sony has gone to a much more rounded design scheme. Rounded corners, rounded edges, and a slightly rounded back. 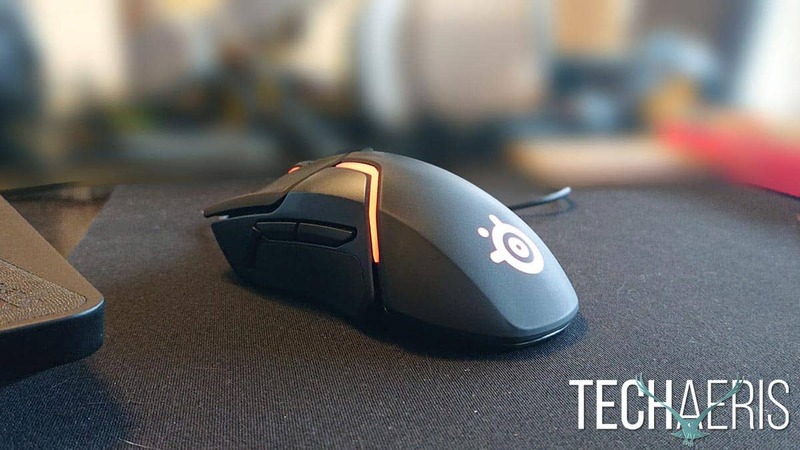 While the rounded design does make it a bit more comfortable to hold, the finish is slippery and the rounded back makes it near impossible to put on any type of elevated surface — unless you put it face down. The reason being is that when your notifications vibrate, the phone has a tendency to slide around and will easily slide off the edge of a nightstand or desk. Even when just set on a flat surface without notifications going off, I found that the phone had a tendency to slide if the surface was even just slightly angled. The Sony Xperia XZ2 features a much rounder and curved back design. Rounded design changes aside, which leave a lot to be desired, the Xperia XZ2 houses the microSD/SIM card slot at the top of the device. Like the XA2 Ultra, this card slot is removable without a SIM card tool which, while it makes it easy to access, also raises security concerns as it can be super easy for someone to steal your SIM and/or microSD card slot rather quickly. 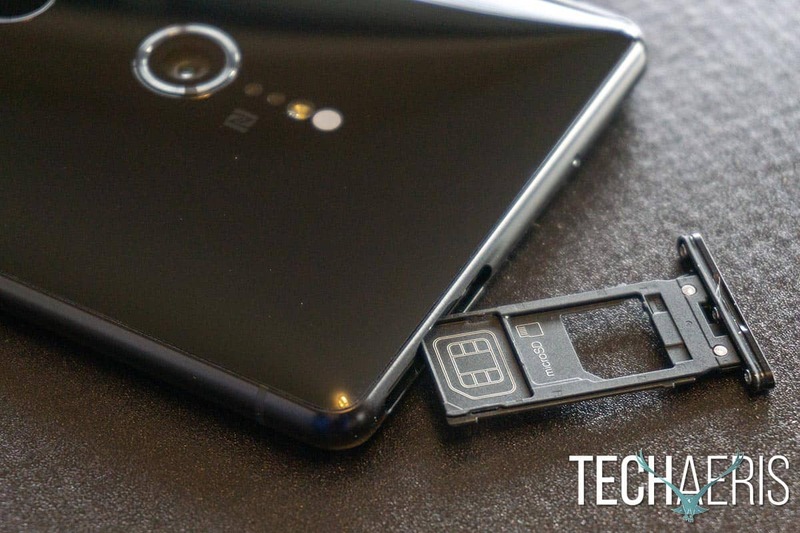 While convenient, having an easily removable SIM/microSD card tray raises some security concerns. The left edge of the device has no buttons while the volume rocker is located near the top of the right side, the power button towards the middle, and a dedicated camera button near the bottom. Finally, the USB-C charging and audio port is located at the bottom of the device. All the buttons are located on the left edge of the device. The front of the device features bezels all around, with thinner ones on each side and standard bezels on the top and bottom. In a time when OEMs are gravitating towards notches, the bezels are a refreshing retained design cue. The top bezel houses the earpiece/top speaker and front-facing camera while the bottom bezel is stamped with the Sony logo. Just below the bottom bezel, you can barely make out the bottom stereo speaker. Front view of the Sony Xperia XZ2 — sans notch. 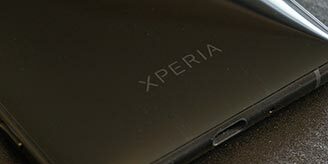 Flipping the device over, the XPERIA logo is printed near the bottom of the glossy, curved back. The round fingerprint scanner is located just above the middle of the phone with the round camera lens above that. The flash and camera sensors are stacked and centered above the lens, making for a pleasing aesthetic look. However aesthetic, even after extended use I still found myself trying to unlock the phone with the camera lens and not the fingerprint scanner due to the placement of the two. In fact, I never really got around to training myself to lower my finger to unlock, especially considering the fact I’m using three different phones in tandem and the other two have the fingerprint scanner up higher, in a much more natural position. 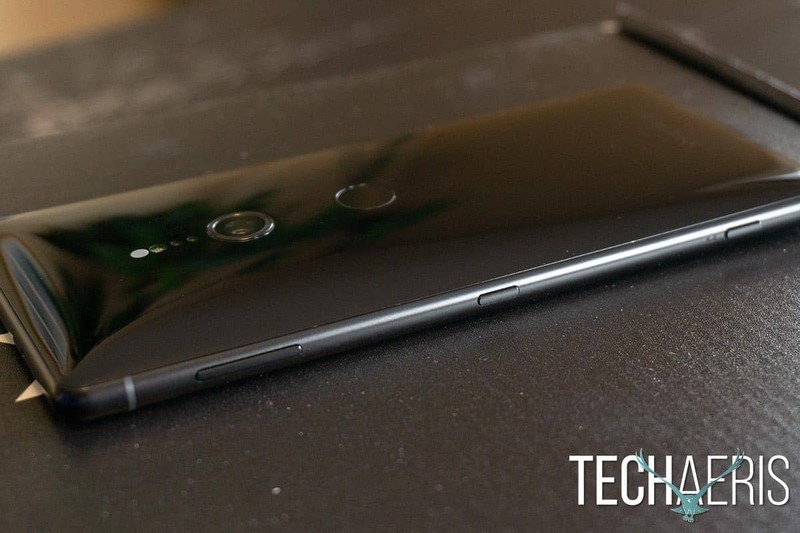 The fingerprint scanner and camera lens location is a bit disappointing as it was I frequently found my finger on the camera instead of the sensor. So while the Sony Xperia XZ2 is a pretty solid and comfortable feeling phone, the rounded glossy design makes for a slippery device and the fingerprint scanner placement also leaves something to be desired. Personally, I wish that Sony would have built upon their previous flat design to update it slightly but then again, I rather liked their previous design as it stood. The Sony Xperia XZ2 sports a 5.7″, 18:9, Full HD+ (1080 x 2160), HDR display which is crisp, clear, and allows users to choose between Standard, Professional (sRGB color gamut), and Super-vivid modes. The sRGB color gamut mode is one that I don’t recall seeing before and is a welcome one for photographers and video content creators. The Full HD+ display is crisp, bright, and has three colour modes. The device also has a number of display enhancements like Smart Backlight Control (screen stays on while you are holding it), Night Light, disabling touchscreen while screen is off, Ambient display which turns the screen on when you receive notifications, and Glove mode which increases the touch sensitivity for use with gloves. As discussed in our Xperia XA2 Ultra review, the Sony devices use Sony’s Xperia Home launcher on top of Android 8.0.0 (Oreo). While it does look a bit date over the stock Oreo and Pie launchers, it does function perfectly fine. The Google Home screen is still a swipe away and your apps are easily accessible through the app home button. As far as pre-installed apps, there are a few — but not many — Sony apps installed. These include 3D Creator, Music, Album, Video, Movie Creator, AR effect, and Xperia Lounge. With its Snapdragon 845 SoC with 4GB RAM, I didn’t expect any performance issues with the apps and games I normally one. 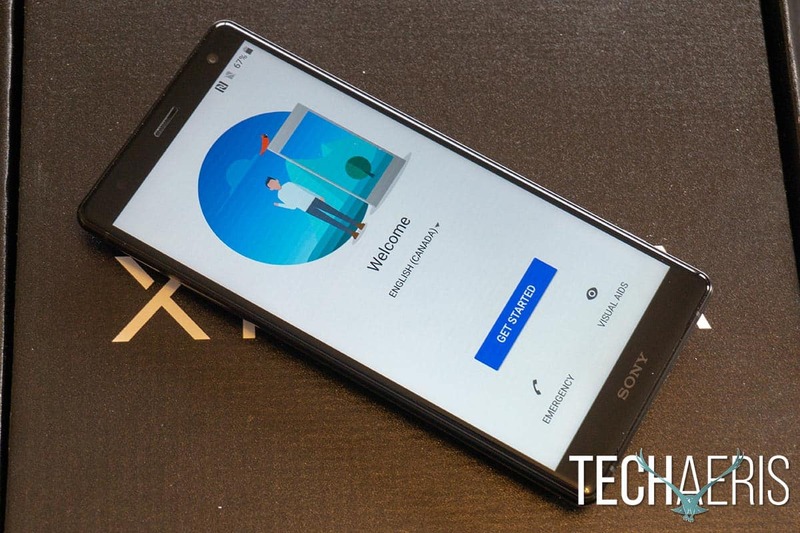 As expected, the Sony Xperia XZ2 performed flawlessly when loading and running apps or games. Switching between apps was equally flawless, also as expected. The XZ2 features stereo-speakers which are fairly loud, crisp, and clear. As with most smartphones though, bass is a bit lacking but the speakers are still more than acceptable. When using a pair of wired earphones, the sound quality is outstanding, especially with the DSEE HX setting enabled. Of course, there is also an onboard equalizer which helps tweak the audio to your liking. The XZ2 also features Sony’s Dynamic Vibration System which, while not directly sound is sound-related. Basically what DVS does is cause the phone to vibrate while watching movies or videos, enhancing the experience. While it is a cool effect, it really was hit or miss depending on what you were watching. Still, it’ll be a feature to watch if Sony can improve on it as it does provide a more immersive viewing experience when it works and syncs properly with the content you’re watching. Even though the Xperia XZ2 doesn’t sport a 4K display, it does feature 4K HDR video recording and image capture. With its new, advanced Motion Eye camera, I found that the majority of images came through crisp and clear with fairly accurate colour. A 100% crop of a photo taken with the Sony Xperia XZ2. The camera does an excellent job of recording 4K HDR video and also has a Super Slow Motion feature which records at 960fps at Full HD. This feature is pretty fun to play with and if you time it right, you can get some pretty cool slow motion effects. 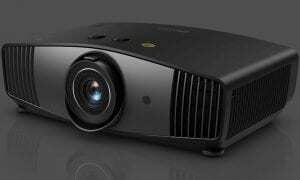 The device also supports 120fps standard slow motion which allows for more control over which portions of the video you choose to make slow motion. 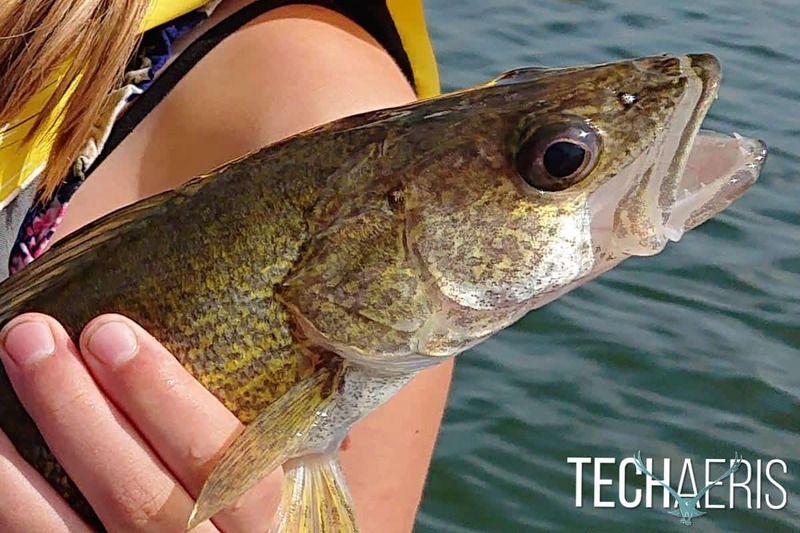 The camera also has a couple of outstanding features like predictive capture which starts taking photos before you even press the shutter button should it detect motion or a smile, and also has the standard autofocus burst for capturing sequences of moving objects. Both features allowed for capturing of some possibly missed moments when testing. Fun camera features also include AR effect, allowing you to add augmented reality to your photos, creative effects, add sound to your photos, and bokeh — as well as Google Lens support. The bokeh feature, while hit and miss, can produce some fun results. As is usually the norm these days with smartphones, I had no issues with reception on my local LTE network or call quality during testing. With a slightly smaller screen, albeit higher resolution, the XZ2 also has a smaller battery than the XA2 Ultra. As a result, I was able to make it through a full day for the most part with battery to spare, usually around 10-20% depending on usage. One useful feature was the Smart Stamina mode which actually did warn me a couple times based on current usage that I might not last the day. Once Stamina mode was activated at the prompting of the device, I was still able to make it through the rest of the day without issue. With an MSRP of $799.99 USD/$1,099.99 CAD, the Sony Xperia XZ2 is on the lower end of the $1000+ flagship devices hitting the market these days. While it’s still a chunk of change to put out, it’s also available on a 2-yr contract via Bell in Canada for as low as $0 depending on your data plan. It can also be purchased outright for as low as $579 USD on Amazon which softens the pocketbook even further. Compared to other flagship devices with similar specs, it is a much better value for your dollar — assuming you can get over the “new” Xperia design. *We were sent a review unit of the Sony Xperia XZ2 for the purposes of this review.